Mother’s Day is right around the corner (May 12th) and I’ve got some gift ideas to share with you this year. This is a delectable scent trio from Laura Mercier that I absolutely adore. It comes with 3 scents: Almond Coconut Milk, Vanille, and Fresh Fig. My absolute favorite is Almond Coconut Milk. I LOVE how the scent notes in that one work with my body chemistry. The Vanille is a nice classic vanilla scent, and I like to layer it with the Almond Coconut Milk. I’m not so fond of the Fig on its own, but it’s nice layered with the other two scents. This is really a wonderful treat. I can’t stop singing praises about this set. If you’re going to splurge on your Mother’s Day Gift, this is what I would recommend splurging on. Read about my experience with the mask here. It always makes my skin look wonderful. Anyone who knows me knows that I always carry my kindle with me in my purse. I started with a kindle 2 and I upgraded to a kindle fire. I think this makes a wonderful gift for anyone, but especially a parent. I bought one for my father last year and I was so excited to be the one to give him this gift because he is the one who gave me the gift of reading books. He loves to read as much as I do and he instilled in me from a young age that reading would take me places. So I was happy to give him something he would use daily. I think this makes it a perfect Mother’s Day gift. I love this palette. It’s got all the neutral mattes you’ll ever need. I still can’t get over the value of 6 full size eyeshadows for the price. If your mom loves neutrals, you can’t do better than this. You can see my full review and swatches here. You can also see my basics tutorial. Now, I’m sure you knew that I would suggest this palette, too. With its workhorse neutrals and fun green shades that are so in this year, it’s for the bold moms out there! Check out my review or my awesome bad witch tutorial. This is a divine scent with notes that include aphrodisiacal vanilla, a hint of oakmoss, exquisite osmanthus, married with rejuvenating pink grapefruit and red mandarin. Somehow, on my skin it ends up smelling a bit like vanilla and marshmallows. I love it. I’ve got a review coming up of this full line but I had to include this scent here, because it’s my favorite from PNDB and I think it would make a wonderful gift. Mint is one of the on trend shades right now and I’m in love with it. These cute earrings by Kate Spade would be a perfect way to wear the trend. You knew if I was going to mention mint that I’d have to mention coral. Golden hardware. Eight strands each of coral and dark coral beads. Iridescent faceted beads highlight twisted strands at center. I adore this necklace and would love it myself! I think it would be beautiful to wear all Summer long and make a great Mother’s Day gift. For the mom who has everything, you can always consider a gift card to Amazon. She can spend it on books, music, beauty… anything that Amazon carries. These are my Mother’s Day Gift Ideas. Previous articleGlitter and Holo ALL THE THINGS! Thank you. That is the brand I was considering. You just confirmed it for me! Amy Busby I have a luminess air airbrush kit that I got on Hautelook. It’s hot pink and I do like it, I’m just not very skilled with it. The Kate Spade earrings are really pretty. I’m going to be treating my mother and father out for dinner. Yep, I know what I’m getting my mothers! Gifts? What is this you are speaking of? I’ll be lucky if they remember. I’ll remember though. Keep reviewing those products so I know what I want to shop for next! Those Kate Spade earrings are adorable! Might have to get those for my grandma for mothers day! Thanks for all the cute ideas! I love your new button “lusting after”. That would be me. I’m lusting after a Kindle even though I have an iPad but it runs out of battery too fast so I’d like the Kindle for books and the iPad for everything else. I’d love the LMdB mask. That’s worth a lust. Marcia beauty info zone The Mask is so lust worthy! I’m also lusting after the necklace. My mom will probably get a Kindle gift card as my brother bought her a Kindle fire for her birthday last year. She also instilled a love of reading in me and since she doesn’t wear perfume or makeup due to allergies, it’s the best option for her. 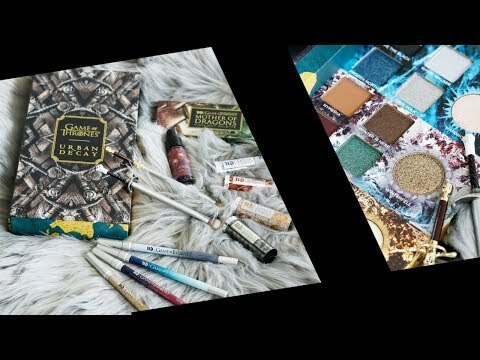 I would love to get the Naked Basics palette, but hubby refuses to buy me makeup, so I’m hoping for an annual pass to the state parks. Elizabeth Christjansen Yay! It’s great that you share that love of reading.